Sharing the Dream runs a student sponsorship program that provides scholarships to promising children who lack the financial support to pursue their studies. The scholarship provides students with the necessary resources and support to achieve their dreams and to eventually become leaders in their communities. Currently we support 25 students from primary school to high school. In order to receive a scholarship, students must show academic promise, have supportive parents and demonstrate a financial need. As a scholarship student they must maintain an 80% grade point average in all of their classes, attend weekly tutoring sessions, participate in student workshops, and participate in the Reading Circle. 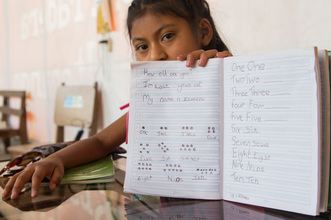 In addition, we encourage accountability for education, asking that that students write four letters a year to their sponsors, provide their own budget for school supplies, and complete 72 volunteer hours per year. Students in Sharing the Dream’s Scholarship Program have demonstrated increased confidence, improved their Spanish fluency, and are more self-assured around others. These qualities will push them further toward their dreams. In order to continue providing the individualized attention that each student deserves, we keep limit the number of scholarships that we give out each year. Luckily, all of our scholarship students have a sponsor in 2019. 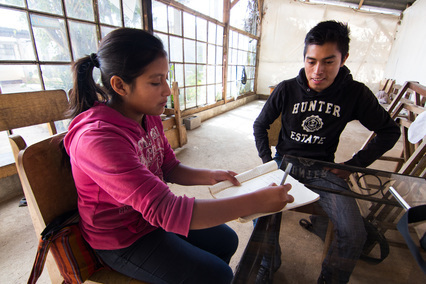 However, there are many other ways to support students in Guatemala, such as supporting the Reading Circle, career workshops with the scholarship students, or sponsoring school supplies for students in one of our rural partner schools. An opportunity to pursue their goals. Want to meet a few of our scholarship students? Check out the slideshow below.